UC San Diego officials Wednesday were looking into reports that China is cutting off state funding for students from that country who want to study at the school. The concern stems from a Saturday tweet by Victor Shih, an associate professor of political economy at UCSD’s School of Global Policy & Strategy, showing an image of a document he said was from the China Scholarship Council giving instructions to students planning to attend UCSD. An English translation of the document said China’s study abroad organizations would no longer process applications from students who have not been granted visas by the U.S. embassy, or scheduled a visa appointment, as of Sunday, according to Shih. 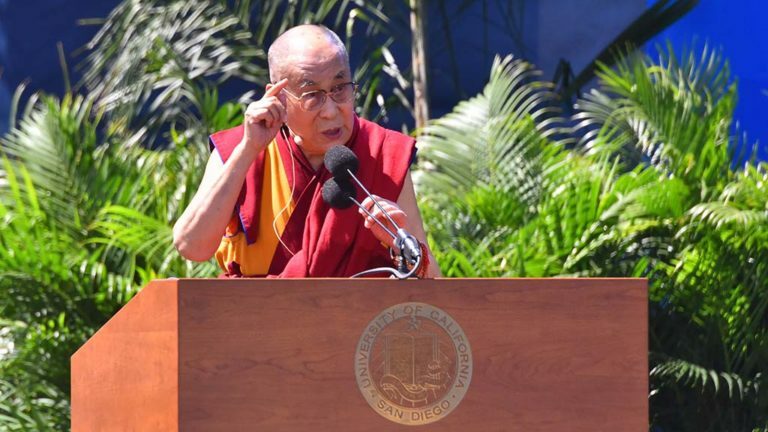 The action comes three months after the Dalai Lama, who is fiercely opposed by China’s communist government, gave a pair of keynote speeches at UCSD’s commencement ceremonies. It was unclear whether the move to prohibit would-be scholars from attending UCSD was in retaliation for the appearance. “UC San Diego has learned, unofficially, that the China Scholarship Council under the (People’s Republic of China) Ministry of Education has apparently issued instructions that CSC-funded visiting scholars who do not yet have visas will not be allowed to study at UC San Diego,” university spokeswoman Laura Margoni said in a statement issued Monday. “UC San Diego was not notified of this directly by the China Scholarship Council and we are presently making inquiries to determine if this is the case,” she said. UCSD officials were unable to provide an update Wednesday. Inside Higher Ed reported that the action would not appear to directly affect self-paying Chinese undergraduates — only those scholars who are sponsored by the government. The publication said concerns have been raised recently about China’s growing influence over U.S. universities, given the growing numbers of Chinese students studying in this country. More than 3,600 Chinese students were enrolled at UCSD in the fall 2016 quarter, according to University of California data. This year’s fall quarter begins next week, and fresh enrollment figures won’t be available until October. Some of the Chinese students protested the Dalai Lama because of his support for independence for Tibet.